So, what's the replacement from, Tony? And can you supply spacers to cope? Was the spacer flat? A dwg to a laser cutter would see a quantity made in a flash...if you’ll pardon the pun. I wonder if the Rover starter could be rebuilt with a Dolly dog gear? Plate I had made is flat but with the spigot machined on too. The gear on the starter is standard (Rover). When I first had it made I told the guy to copy the details of the Sprint one but it was in mesh too tightly so I relieved it to fit with files etc. The offset from the bolt centreline to the pinion centreline must be a tad different. I have about 5 of these starters in stock,all new but from 1990. I had bought some clearance stuff years ago thinking they'll come in handy and 15 years later hey presto lol. I'm flat out at the minute but if I get chance I'll get both starters measured properly on the cmm and get a drawing done. looks to be a good alternative. Does anyone else use one of the new high torque ones? 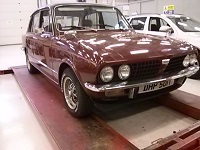 I have an RAC406 on mine and it seems to do a pretty good job - so far. Is that from another car Russ or a bespoke high torque thats £200? A couple of people mentioned fitting them 8 years ago, you could ask them how they got on for a long term test. 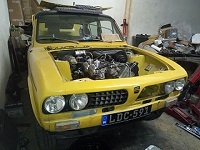 So far as I know the RAC406 is listed for Sprint and TR7. I run mine on a Sprint engine actually IN a TR7 so that seems to cover all options. Yes; Doesn't time fly when you are having fun. 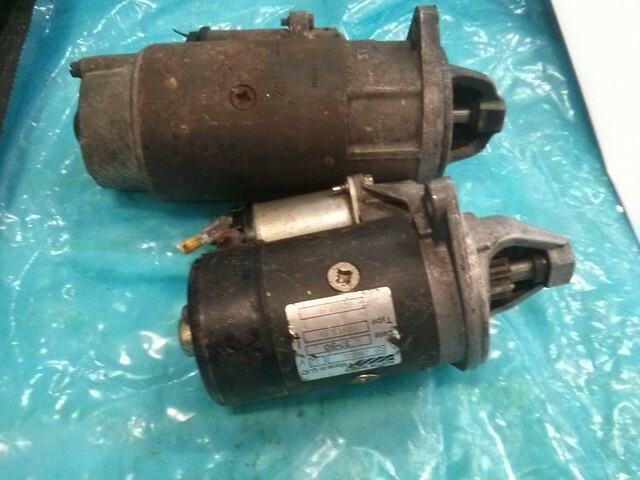 I saw my posting there from " Post subject: Re: Starter motors. Posted: Wed Jan 06, 2010 6:00 pm"
Just over 10 years ago ! Yes the 1850 one and the MGB are still going O.K. ! For most starters, a change of the inexpensive solenoid transforms the motor. Yes, fitted one more than 5 years ago to the Pageant car and it really is a fit and forget. Mine came with the option of the additional terminal to the ignition. Never had a single issue, works perfectly every time. Might have been expensive to start with but if I needed to would do it all again. Yeah, that was my thought. 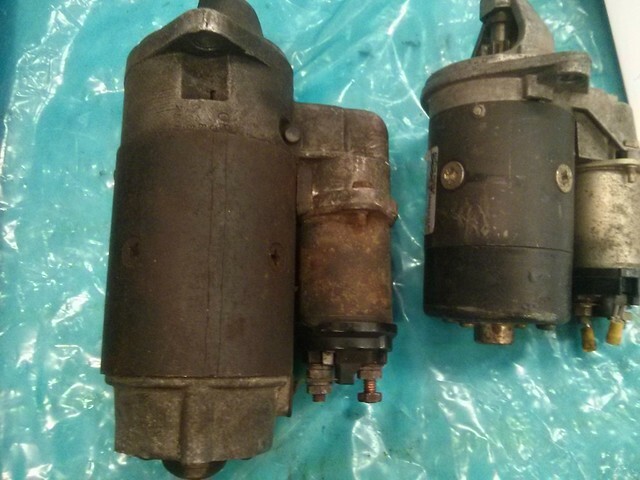 Starters are pretty simple old lumps, most would need an inexpensive rebuild. A burnt out terminal or sticking solenoid, not difficult to do.